Ram opted for a digital media ad strategy only when it came to this year’s Super Bowl, with a large part of the brand’s focus zeroing in after the big game had long finished. The #RamWillTowThat social media initiative sees the truck brand collaborate with M&M’S, Pringles, Avocados From Mexico, Amazon, Persil ProClean, and DEVOUR all while showcasing the all-new 2019 Ram Heavy Duty and its best-in-class towing capability. As we mentioned earlier, Ram intended to demonstrate the incredible best-in-class towing capabilities of the all-new 2019 Heavy-duty trucks that recently debuted at the 2019 Detroit Auto Show. Their strategy began with a short teaser (seen below) prior to each brand airing their own advertisement during the big game. As the commercials aired, Ram @mentioned each brand on Twitter while simultaneously posting a light-hearted video as a response. All Ram brand 16-second clips are quick to flex the heavy-duty pickup’s muscles (not to mention the brand’s comedic chops as well) as they display to the other advertisers how well they can tow the products featured in their commercials. As each company’s commercial from the Super Bowl LIII debuted, Ram simultaneously began broadcasting their own commercials on social media. Avocados From Mexico is up next as the Ram is seen towing a massive bowl of guacamole, thanking their big game ad for inspiring Ram to cook. 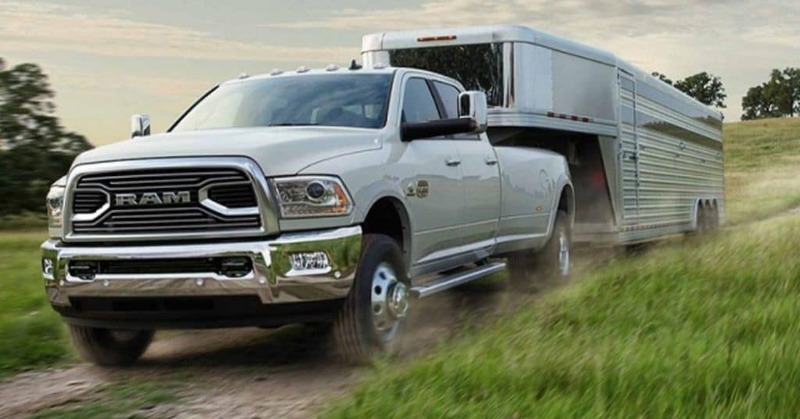 Just like in all the other ads, the heavy-duty specs flash across the screen before reiterating that #RamWillTowThat. The “Most Capable Heavy Duty Pickup Ever” tagline strikes again thanks to the pickup towing a rather large Persil ProClean laundry detergent bottle. Ram is convinced the pickup is towing more than enough detergent to deep clean every sock on Earth. Twice. Next up Ram takes on the persona of a filthy beast by towing a hefty dish of DEVOUR’s Mac & Cheese. Just like in the Avocados from Mexico spot we mentioned earlier, it’s a rather hefty dish that the Ram is towing. These Ram ads may feel cheesy (pun intended), but the heavy-duty pickups never fail to deliver thus far. For the last ad of the bunch Ram teams up with Amazon. We see the Ram pickup towing an outrageously large Amazon box through a residential neighborhood while a voiceover doubles down on the ridiculousness of it all, saying “It’s funny because the box is huge.” No matter the size of the box though, Ram wants viewers to know that #RamWillTowThat. 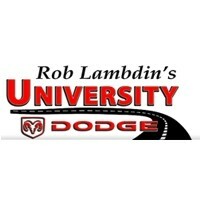 Follow University Dodge on social media to be among the first to experience the all-new heavy-duty pickups from Ram when they roll across our dealer lot. If you’re too anxious to wait, check out the inventory of the all-new 2019 Ram 1500 – the redesigned light-duty truck served as the inspiration for the rest of the Ram lineup.